Q. What makes Streetscapes, Inc. different from the local company that I've dealt with in the past? mixed use development where the emphasis is on pedestrians, economic development and transportation. Q. It looks like a lot of your furniture manufacturers are from different parts of the world. How does that affect product delivery. U.S. based manufacturer - generally 8 to 10 weeks. Q. Do you have any products that could be used towards LEED certification? A. Yes, many of the products that we offer can be used to count towards lead certification? Visit our LEED link for specific products. additional bicycle racks for purchase? A. There are many different style of bicycle racks that you consider depending on your goals and objectives. Bicycle riders use bike racks, also called bike stands are structures used to secure bicycle against theft. What is a bike stall? into parking for bicycles leaving sidewalks clear for pedestrian travel and sidewalk dining. could Dero manufacturer them for me? Yes, they are able to manufacturer custom bicycle racks based on your design specifications. Erlau's wood is called pagwood. What can you tell me about pagwood? Erlau uses rilsan to color coated it's metal components. What is Rilsan? All Erlau products are galvanized and receive a 350 micron organic color coating. Erlau's has an Anti Graffiti Coating? On which products can it be used? Erlau's Anti-Graffiti Coating can be used on all wire mesh products. color stability, premature peeling or impairing Erlau's characteristic temperature insulation effect. and Electrotherm. What the difference between the two finishes? exposure to the sun and has a three year anti-rust warranty. 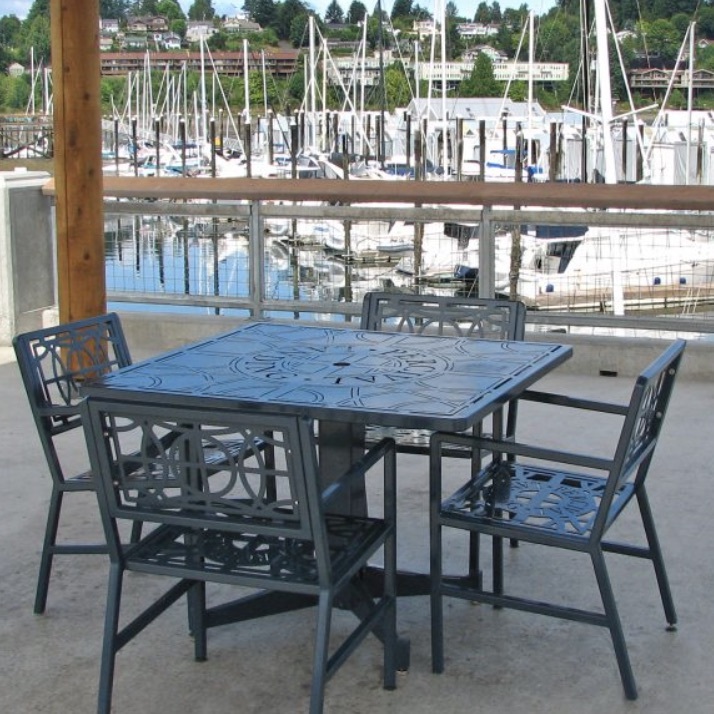 The Regatta series products are manufactured using 90% post consumer industrial waste. Street and Garden furniture has some really great looking furniture. Is it off the shelf or custom? Street and Garden offers both off the shelf and custom designed site specific furnishings. Typically, the custom furniture is designed around providing a family of product for a particular project. to prevent skateboarders from using them as a skating surface. A wheelie is an enclosure with a door for removable of wheel mounted trash bins. How does the manual planter irrigation system work? I'm interested in the manual planter irrigation system. How can I determine which product will work best with my planters? it to us and we'll assist you in determining which product that will work best with your system. The VGM Living Wall System looks interesting. What are the typical questions that you receive about the product? Here's a list of VGM Living Wall FAQ's for your review.